John, Earl of Chatham is fast becoming my Best Research Buddy (BRB for short— and who’m I kidding? Let’s just call him John from here on in for concision’s sake. John, blog readers; blog readers, John. Excellent, now we can move on :-D). The problem is John is one of the Invisible Men in history, unless, as you may have noticed, he is being laughed at/scorned/denigrated/otherwise-middle-finger-saluted by historians. Students of Pitt the Younger may spot him hanging around in a rather embarrassed fashion on the fringes, making the occasional appearance in correspondence, at cabinet meetings, or in Pitt’s private life. Military historians will remember his record at Walcheren in 1809 (STILL not ready to write that post, so just read this for now and then forget you ever heard of it). But otherwise nobody knows who he is, really, and he almost completely drops off the radar in 1810. This isn’t exactly surprising (I suspect John kept his head down as much as possible after Walcheren) but, given he survived until 1835, that’s 25 years unaccounted for— more than the 22 he spent in public office. I’ve been trying to work out what happened to John after 1810. Not for my novel, obviously— a book about the relationship between John and his brother William naturally comes to a close somewhere around, ooh, say, 23 January 1806— but just for curiosity’s sake. My research is still very much a work in progress, and I suspect not much will come of it until I’ve finished my novel, but I’ve found a few interesting things so far. The years 1810-20 are still something of a haze to me, so let’s start in 1820. In January of that year John was appointed Governor of Gibraltar. He didn’t go out for a good long while, though. I can’t be sure why, but it probably has something to do with his wife. Mary, Countess of Chatham was approaching the end of her life at this stage; according to her obituary in the Gentleman’s Magazine (1821, p. 565) she “had been indisposed nearly two years” prior to her death, so presumably she was suffering from cancer or some other gradually debilitating disease. At the end of April 1821 the newspapers rumoured that John was about to undertake his official duties at last (Times, 30 April 1821), but by the beginning of May John was still in London and still appearing at public functions (for example the King’s birthday dinner on the third). Mary died on 20 May, and although there were rumours that John was about to go out to Gibraltar he did not actually arrive until November 1821. What he did there I couldn’t tell you now, although I suspect that, too, will be a research object in the future. He stayed in Gibraltar until July 1825. At the beginning of that month he landed back in England “on leave of absence” (Times, 1 July 1825). 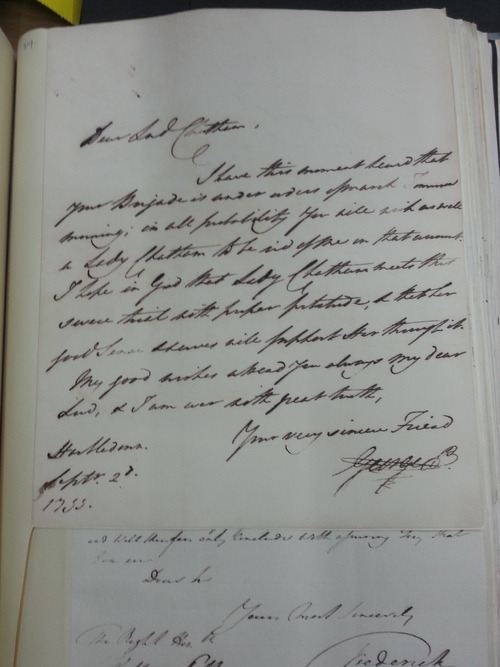 By the fourth he was in London and the King wrote to him inviting him to attend a “dress ball” at St James’s Palace that evening (PRO 30/70/6 f 420). Even if the nearly sixty-nine year old John had managed to recover from his journey in such a short time, I doubt whether he was in any condition to attend that ball. I have a suspicion, in fact, that ill health influenced his decision to leave Gibraltar in the first place. John was treated at home by an apothecary on four occasions from 11 to 14 July for fever (PRO 30/8/370 f. 63). His health doesn’t seem to have recovered for a while, either. A good friend and I recently visited Berry Brothers & Rudd, the wine merchants in St James’s, London, where rich and famous customers came throughout the eighteenth and nineteenth centuries to be weighed on the enormous coffee scales there. We discovered that John was weighed there on 29 September 1821, just before setting out for Gibraltar. His weight then was 11st 13.5lb, comfortably within a healthy BMI range for a 65-year-old tallish man. On 3 August 1825 it was 9st 10.5 lb, fully clothed and with boots. He was weighed a further four times over the next six months so clearly seems to have been keeping an eye on his weight. By November he seems to have fully recovered— his weight plateaued at about 10st 13lb, and he was well enough to go shooting with friends (Times, 7 November 1825). At the end of 1829 the Times reported categorically that his ill health would prevent him going out again and, although he was occasionally sighted thereafter transacting official business at the Colonial Office, he did not return to Gibraltar (Times, 18 June 1828, 15 January and 20 August 1829). After that he really does almost completely disappear from the radar. In August 1830 it seems he came so close to death he started to panic about what would happen to his title and estate (more on this later). He was not yet at the end of his life, but clearly had a shock: he took out at least two life insurance policies (……one of which he may or may not have ever actually paid for…) and set about drawing up his will, naming his great nephews William Stanhope Taylor (grandson of his sister Hester) and John Henry Pringle (grandson of his sister Harriot) as joint beneficiaries and executors. 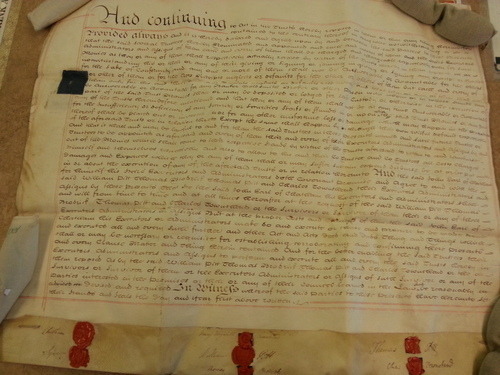 In classic John style he got at least one of the names wrong in the official paperwork, which led to a comparatively lengthy period of legal discussion after his death as his heirs patiently tried to explain to the authorities that “Thomas William Taylor” did not in fact exist (the will is available to download from the National Archives, PROB 11/1852). Although it looks like his health never did fully recover, he still managed to find time for court duties. The latest I have seen him appear in public was at a function for military gentlemen held in Brighton on 13 January 1835. He died on 24 September 1835 at his house in Charles Street, and was buried towards the end of October. I have no idea how much in debt he was but according to the Times of 10 November “all claims on the estate were paid immediately subsequent to the funeral”. 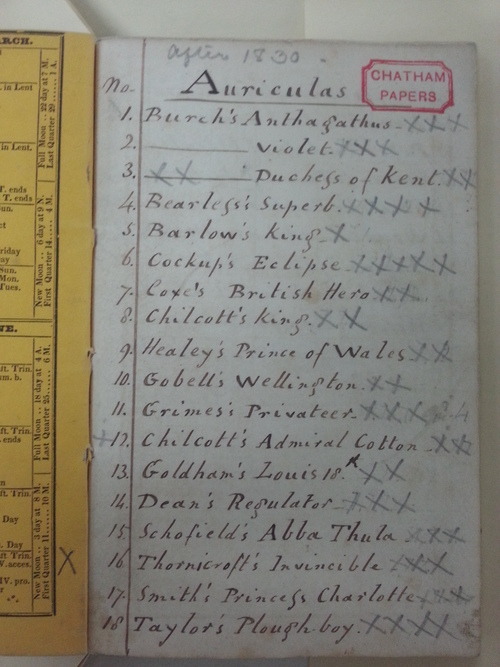 How Messrs Taylor and Pringle managed this minor miracle I could not tell you, but in the National Archives there is a catalogue of an auction selling the late Earl of Chatham’s belongings at Christie’s, 16 May 1836 (PRO 30/8/370 f 147). Everything appears to have been sold, from the contents of Chatham’s cellar to the servants’ bedlinen. The leasehold of the house itself— mortgaged from the Dowager Countess of Suffield— was sold for £3000 (PRO 30/7/370 f 137). John was, of course, long beyond caring by then. He got an earl’s funeral in the family vault at Westminster Abbey, where he joined his father, mother, brother William, sister Harriot and wife. His father and brother got public funerals, but John’s must have also been quite impressive. He was buried in a “strong elm” coffin lined in white satin, enclosed in soldered lead and an outer coffin, also made of elm, studded with brass nails and “richly gilt and burnished” earl’s coronets and garter stars. The funeral train included all the accoutrements of a medieval earl’s funeral, three mourning coaches, “a caparisoned horse” and a hearse drawn by six horses (PRO 30/8/370 f 152). But with that final burst of glory John subsided into obscurity. John’s best friend, the ……. Prince of Wales?!?!? Yes, really. Really really. Yes, THAT Prince of Wales. That very one. Forgive me if I am gobsmacked by this, but I never (never, never, NEVER) pictured Chatham and Prinny as best buds. John, you never stop amazing me! You may recall my post a while ago about my horror at reading Richard Glover’s fulminations against the second Lord Chatham in “Peninsular Preparation”. “Relatively very few documents attributable to [Chatham] are to be found in the Chatham Papers, or elsewhere,” Glover wrote, “and it is surely significant that among them lies a trim little notebook containing lists of garden flowers written in an admirably neat italic printing hand. 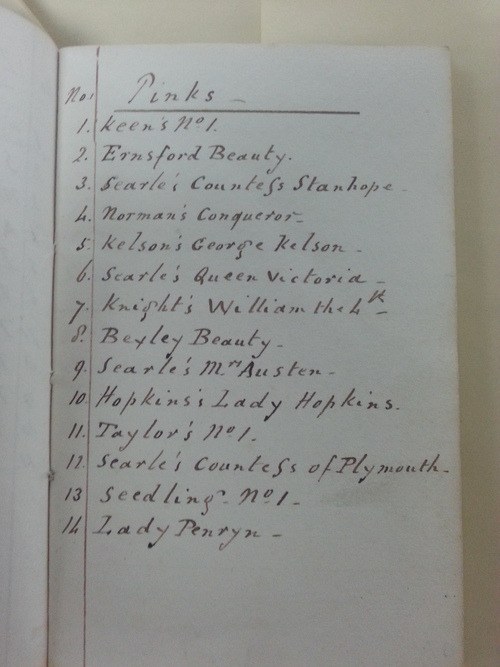 This suggests where his real interests lay” (Peninsular Preparation, p 39) The flower book story even gets into the latest book on Walcheren, by Martin R. Howard (Walcheren 1809, 2012). Embarrassingly trivial, yet kind of cute, huh? I was in the National Archives today, so decided to call that little book up. I am NOT happy with Richard Glover. John has been traduced. AGAIN. Who knows what the book of flowers is all about, but one thing is for sure: IT NEVER BELONGED TO JOHN. King William the 4th came to the throne in 1830, Victoria in 1837. John Pitt, 2nd Earl of Chatham died in 1835, so could never have owned a book about flowers with names like Queen Victoria. Even supposing the name referred to another Queen Victoria (I suppose there could have been another Queen of that name on the continent), the notebook has a calendar on the inside of the cover. The calendar has no date, but lists Easter Sunday as falling on 26 March. According to this website , Easter Sunday fell on 26 March during John’s lifetime in 1758, 1769, 1780, 1815, and 1826. We can safely discount the first three of those. 1815 is I suppose a possibility, as is 1826, but neither of them allows for the presence of a flower named after William IV. That leaves the final possibility: that the book was printed for 1837, the last year before 1967 that Easter Sunday fell on 26 March. This would certainly make it possible to name a flower after Queen Victoria, who came to the throne in 1837. 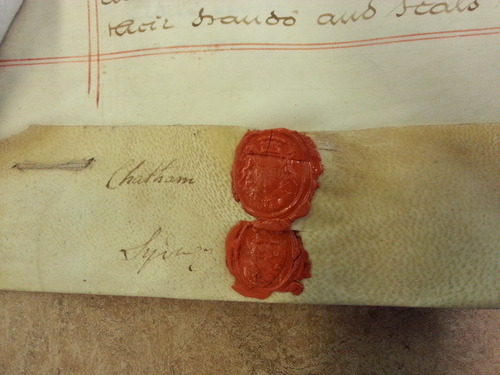 But if the book was printed for 1837 (presumably in 1836), Chatham was already dead. So he couldn’t have owned the book. And even if the flowers refer to the contents of the garden of his house at Berkeley Square, which is likely given the book is tucked up with a bundle of receipts, house inventories and life insurance documents, he never compiled it. So much for this one of Glover’s reasons why Chatham was a useless waste of oxygen. Makes a nice story, but ultimately it’s a lie, and poor John comes out looking like an idiot again. Can you tell I am very, very cross? “The decline of the [Board of] Ordnance, which began under Cornwallis, continued unabated under his deplorable successor, John, the second Earl of Chatham. Fortescue has well and truly said that, when he chose, Chatham could both think and write. Unfortunately, however, he very rarely made this exacting choice, and in sheer laziness he eclipsed even [William] Windham [Pitt’s Secretary at War in the 1790s]. Any reader of Castlereagh’s military correspondence must be struck by the frequency with which Chatham is to be found at his country home when he ought to have been in London. Relatively few documents attributable to him are to be found in the Chatham Papers, or elsewhere, in the Public Record Office; and it is surely significant that among them lies a trim little notebook containing lists of garden flowers written in an admirably neat italic printing hand. 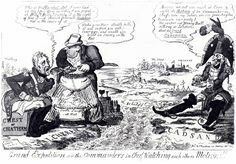 This suggests where his real interests lay … Yet in spite of his lack of interest in the duties of his office, Chatham did his country the disservice of clinging like a limpet to [the Ordnance] from May 1801 to 1810, with only the break of the eighteen months when the Ministry of All the Talents was in power”. And the lack of evidence is, at least in this instance, not overwhelming proof. I agree there are few of John’s papers anywhere; I haven’t had the opportunity to go to Michigan to see those at the Clements Library, nor have I managed to get to Manchester to see the ones held there. 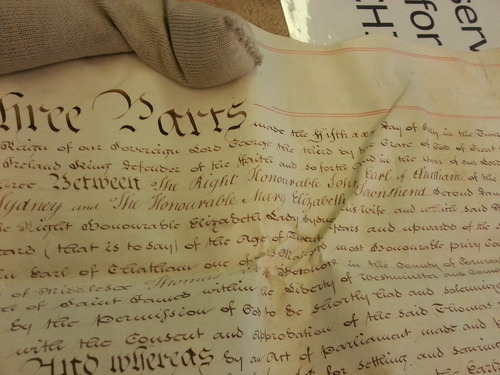 The National Archives (as the PRO is now called) is disappointing, but I really get the impression that John’s papers were either destroyed by his executors, who cared more about his father and brother, or they were destroyed by John himself (and let’s face it, he had 25 years of kicking his heels in the political wilderness to sort through his papers). So what a value judgment: and the only concrete evidence for it is from the Castlereagh Papers, where he ought to have been in London but was at his country estate! 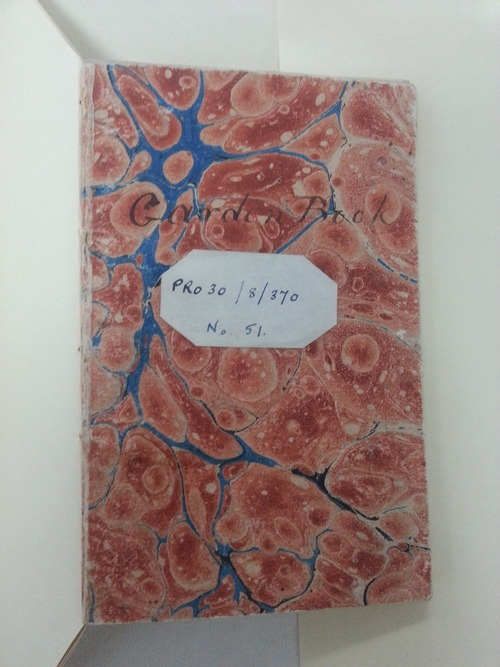 I confess I have not read Castlereagh’s correspondence cover to cover, but I have consulted them. Chatham doesn’t appear a great deal (except on the volumes covering Walcheren, obviously). I presume that Glover is mainly talking about the instance also cited by Wendy Hinde in her biography of Castlereagh (London, 1981, p. 119): after describing Chatham as “incurably idle” she relates how he “preferred to remain in the country potting pheasants” rather than come to town for a cabinet in October 1805 to discuss reeling Prussia into the Third Coalition. She continues: “Chatham’s irresponsibility is scarcely more surprising than Castlereagh’s polite—or philosophical—acceptance of it”, thereby implying that this sort of thing happened all the time, ho ho ho, it’s the Late Lord Chatham again, oh well, never mind. Colonel Hadden communicated to me this morning your kind offer to come up to town in the course of next week, if there was anything of importance. Things are grown so interesting, that I trust you will forgive me for availing myself of your proposal; and if you could appropriate Sunday to the journey, you would, without wasting a sporting day, catch your brother before his return to Walmer on Monday. I send you by the messenger the outline of our immediate measures, which has been approved by the King, and will be executed without delay. But this subject connects itself so much with the state of the Continent, and the general scheme of our future military views, that I feel extremely desirous of having a full conversation with you upon the whole of this interesting subject. 3) Whether this was flattery or not I couldn’t say, but Castlereagh seems to imply he wants Chatham’s views as a military man rather than those as a cabint minister. No mention of ordnance, for example. I certainly see nothing in the above to justify Glover’s character assassination of Lord Chatham, and I think Hinde was also writing with that good ol’ 20/20 historical hindsight. WHAT country home? In 1805? “In truth Pitt’s brother was no ordinary man. He was very clear-headed, possessed excellent judgment and great firmness of character. In the Cabinet, where he seldom spoke until others had finished speaking, his counsel was sound, independent, and weighty to a remarkable degree. At the Office of Ordnance his administration brought the British Artillery up to a pitch of excellence unknown until his day. His great fault was an incurable indolence, and an unpunctuality which gained for him the nickname of the late Lord Chatham”. Fortescue, of course, was a military historian with a notorious bias towards the land forces and against the navy. This rather helps in his assessment of Chatham, whose performance at Walcheren (an amphibious campaign undermined by lack of communication between the army and navy) is certainly not condemned: “I cannot see that Chatham, in spite of his notorious indolence, showed inactivity or want of judgment; nor do I believe that any man in his place would have acted otherwise than he did” (Fortescue, p. 95). Sir Richard Strachan, the naval commander, is on the other hand roundly castigagted. 😉 I’d say that Fortescue’s agenda in favour of the army is speaking here at least in part, but it is nice to have a military man’s opinion in support of my theory that John was not the useless idiot he is often portrayed to be. So. I have one post (… and maybe a bit of another post) attempting to rehabilitate the reputation of John, Lord Chatham. The man known to history (if he’s at all remembered) as the “late” Lord Chatham, so called during his lifetime, obviously. I still stand by my assertion that he wasn’t as bad as hindsight claims (most quoted accounts of his laziness come from post-Walcheren accounts, and so almost certainly benefit from 20/20 hindsight). I’ve only just discovered the existence of John’s residence at Cheveley— and that’s a big enough mystery as it is, but I won’t go into that here— and, from my searches on the subject, it seems John went off there to hunt for about a month each year over January and February, and for another month over the period of October/November. This certainly fits in with the hunting seasons. But it looks, from my searches, as though he did it EVERY year, REGARDLESS of what was going on. Note how the newspaper makes a point of saying John was not there. Let’s not mention all the times I’ve seen John having to be summoned back to town for an emergency cabinet … although, to be fair, John could not necessarily have foreseen all those occasions, and often other cabinet ministers also had to be recalled (and John always turned up within 24 hours so could apparently hot-foot it if required). I’m not sure what to make of all this. Perhaps my hindsight is also 20/20, given John’s reputation. Still, it seems to me that the diligence of John’s early years at the Admiralty— he seems not to have missed Admiralty Board meetings very often between 1788 and 1791, or at least that’s my impression— did not last more than a few years. I’m sure he still pulled his weight when required, but it looks like the lure of the countryside, and of sport, was occasionally too much for John. My verdict? The above extracts suggest that John’s reputation for laziness was not undeserved (something I am certainly not trying to contradict). Whether it suggests he was also irresponsible is a different matter. I get the feeling that’s what the papers are trying to establish (particularly the second extract above). I’d say John was definitely doing himself no favours by putting his love of shooting ahead of his duty as a member of the cabinet.